Each year at Roadburn an iconic set from a past festival edition is immortalised in wax as a limited run on Roadburn Records. This year, it’s the turn of Bell Witch – and their legendary set from the 2015 edition of Roadburn. The heavy hitting doom duo performed in an earlier incarnation – featuring original drummer Adrian Guerra. The set at Het Patronaat was captured and mixed by Marcel van de Vondervoort before being mastered by James Plotkin. In 2016, Guerra left the band, and shortly afterwards, he passed away. “For years Adrian and I had admired the Roadburn Festival from afar. When we received the invitation we were both ecstatic! I remember entering Het Patronaat early that morning and feeling overwhelmed. We were both exhausted from the flights and felt like very small fish in a very big pond. There were very few performances we had anticipated as much as this one. The release will be limited to 500 copies on black and white vinyl (no CD or digital release is planned), and will be sold exclusively at Roadburn Festival 2018. 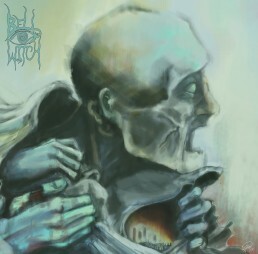 The artwork was handpicked by the band and created by Leo Ulfelder. The photograph on the back sleeve is by Niels Vinck. 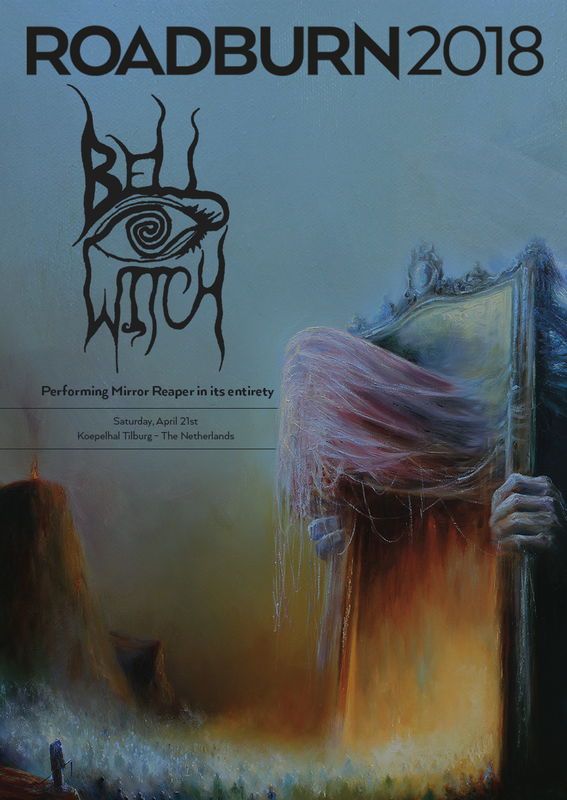 Bell Witch released their latest opus – the 83 minute Mirror Reaper – via Profound Lore in 2017, and will perform the album in full at this year’s festival (Saturday, 21 April), as well as a second set featuring Erik Moggridge AKA Aerial Ruin (Sunday, 22 April).